There is huge excitement in the office at the moment as we countdown towards the opening of the first Nicki Macfarlane boutique. 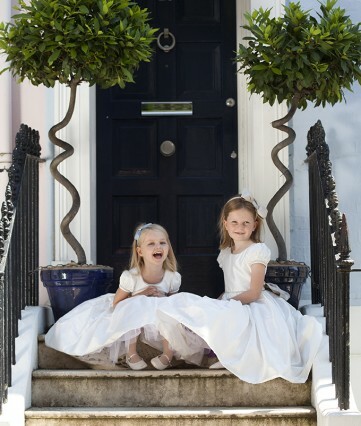 The boutique, on Langton Street in the heart of Chelsea, opens on October 24th and will stock our collections of flower girl, page boy, party and occasion wear, as well as beautiful clothes and accessories by Little Linens, Angels Face, Lila and others. This elegant shop will be the go-to destination for everything to do with special occasions for children and will focus on British brands. From its unusual and pretty exterior featuring stunning window displays, to rooms with working fireplaces filled with gorgeous dresses and decorated with fresh flowers and delicious aromas, this unique and sophisticated boutique will appeal to parents and children alike adding a sense of occasion to buying that special outfit. We will also offer our bespoke service in the shop where appointments with Nicki or Charlotte can result in a truly individual, stunning outfit for your special occasion.